We are looking forward to the LibreOffice Conference 2017, starting on October 11 in Rome, Italy! Just like at the previous LibreOffice conferences, there will be talks from people that work at Collabora Productivity, talking about LibreOffice desktop and Online development, new features, security, testing, use cases and a lot more! An essential aspect of LibreOffice is that it can work with documents coming from other office suites. During that, however, we are bound to run into interoperability issues. This talk aims to give techniques that can be used by end users and QA people alike to take a closer look at these issues and process the documents causing bugs, without much information about the formats (eg. to create minimal examples), to provide more relevant details to developers in the bug reports. The LibreOffice code-base is huge. Finding the relevant source code for your bug or feature can be challenging initially. The talk will walk though a number of key modules in our codebase and will give a brief summary on them. Also code documentation techniques used in our code (doxygen, per-module README files) will be presented as well. Come and see how to get from the user interface to the relevant source code, what still lacks documentation and how you can help. VBA, the programming language of Excel and other Microsoft Office programs, is also interpreted by LibreOffice with more or less success. Among others, the company D-Wave, the world’s first quantum computing company, decided to use LibreOffice for running their VBA script, using its VBA support. The talk will walk through the improvements made on LibreOffice in order to be able to run the above mentioned macro and improve the efficiency of interpreting vba scripts. LibreOffice Online is an exciting technology that allows people to edit documents and collaborate on them in a web browser. It is rapidly developing, and has improved a lot since the last year. Come and see all the new exciting features that did not exist in the LibreOffice Online one year ago – like the collaborative editing, user friendly comments, resizing cells in spreadsheets, and much more. Pivot charts are a new feature available in LibreOffice 5.4, which introduces the ability for charts to use the output of the pivot table as its source of data. With pivot charts it is very easy to visualize the data and extract the desired information by modifying the pivot table. This talk explains how to create and use the pivot charts, and the experience during development. As security becomes increasingly more important in a highly digital world, signing and validation of digital documents becomes critical. This talk presents a new feature that allows the signing and verification of individual paragraphs in Writer using a cryptographically secure certificate. The signatures are stored as RDF metadata in the document and visually represented by text fields, which shows the signer, date and validity state. Presentation of newly implemented features which are improving interoperability with other office suits. Including: DOCX AutoText import, custom Watermarks, better handling of embedded documents (OLE) and solved problems in the Writer with developer’s comment. A group of users got used to select name and address data for mail merge from a table in a text document, in another office suite. When these users were migrated to LibreOffice, they wanted the same feature, but it was missing. The presentation will show the details how a Writer data source driver was added to connectivity module of LibreOffice. LibreOffice Online is an exciting technology that allows people to edit documents and collaborate on them in a web browser. LibreOffice Online can be integrated into any web service simply via a combination of an iframe and the WOPI protocol. To make the integration smoother, there are various extensions possible, like adding your own buttons to the toolbars, reacting on various events from the LibreOffice Online, or using some handy WOPI extensions. Come and hear what is possible, and how to achieve the level of integration you need. Come and hear how we do unit testing for Collabora Online – vital if you want to add a feature, or implement a fix. Understand how the system of ‘hooks’ allows cheap, yet invasive message & fault injection. Understand the several layers of old & new testing methods, and see how you can get involved. When I meet with users in person the most frequently mentioned issue is that LibreOffice (LO) messes up Microsoft Office (MSO) documents. Well, I understand how frustrating it is, but let’s talk about why it’s this hard to be compatible with MSO. In these days OOXML formats are used most often, so it’s important to have our OOXML filters upodated. I’ll speak about my experiences about working with OOXML filters. I’ve done some development with different LO components during the last year, so I’ll bring examples from these different areas (Writer, Impress, Calc). The OOXML support of LO has limitations, sometimes it comes from missing features, sometimes it comes from the bad design of filter code. While showing the examples I’ll mention where the code can be improved, what issues you should be aware of while developing this part of the code and also mention some entry points for interested developers. The goal of providing to the user the ability of working with a 1 million rows spreadsheet in Calc Online requires several improvements. Some of these improvements have already been achieved and involves special handling of the row/column header, scrolling and document navigation. For row/column header that means fetching only the header heighs/widths for the current visible section of the document. This feature improves both document loading time, minimizes data traffic between the core and client and more responsive row/column operations, such as insertion, deletion or resizing. In this talk will be illustrated how this result has been achieved by the synchronization of header data fetching with mouse/key scrolling and through caching the current cell position. Come hear a case-study of how LibreOffice was deployed in a UK Hospital. Hear how the project was planned, the cost-savings, the trials and successes, the benefit of real support – with new features & bug fixes implemented, improving LibreOffice for everyone. It seems clear that in the future computers will become more powerful not so much any more by increasing the per-core processing power, but by increasing the number of cores available per processor chip. To take advantage of that in LibreOffice Calc, doing large formula group calculations in parallel is an obvious solution. Earlier, increased parallelism has been approached through the use of OpenCL. This has worked in some ways, and in other ways perhaps been less succesfull than was hoped. This talk describes a new approach which uses plain C++ level multi-threading. If we place nice with the hardware, it will make our lives easier. In the old days, we expended considerable effort to make our global analyses more efficient, especially when dealing with large codebases like LibreOffice. However, with the advent of modern hardware and software tools this has become largely necessary. This talk will focus on some pragmatic design choices that lead to being able to run global analysis passes across the LibreOffice codebase, without breaking the bank on hardware or waiting days for results. The challenge of converting blocking sockets to non-blocking in the production-ready LibreOffice Online, while maintaining quality and stability, was met for the 2.0 release earlier this year. This talk is an overview of the journey from discovering the limitation of blocking socket, and the mechanisms and methods used to build a non-blocking framework and converting the codebase over. The details of how the highly threaded, thread-synchronization-laden design was de-threaded into a simple, single polling-thread model, with callback-scheduling, ownership, life-time management, and thread-affinity is presented. The talk is targeted to discuss the previous state of the SharePoint support in LibreOffice, the issues that were solved during this time, and some of remaining problems/goals that LibreOffice is still facing. The LibreOffice PDF filter got multiple updates during the past year. The introduction of PDF signature verification, signing existing PDF files, rendering PDF images with pdfium and various general PDF export fixes all happened in this period. A new testsuite has been added to catch PDF export regressions early. The talk will walk through a number of situations where improvements have been done and present the results. Come and see where we are, what still needs to be done, and how you can help. 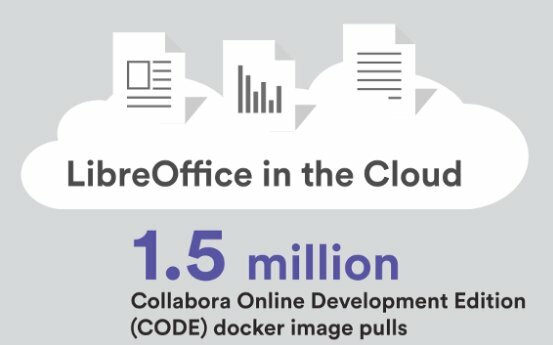 Cambridge, United Kingdom – September 18, 2017 – Collabora Productivity, the driving force behind putting LibreOffice in the Cloud, and GMS, providers of an email & productivity apps solution for small businesses, announce a partnership to integrate Collabora Online into GMS Webspace. GMS Webspace provides users with secure access to their email, calendars, contacts and documents (with GMS Drive), at any place, from any device. By including Collabora Online, a powerful LibreOffice-based online office suite, GMS Drive will function as a full online office suite, that supports all major document, spreadsheet and presentation file formats. Collabora Online includes collaborative editing, excellent support for all popular office file formats, Long Term Support, signed security updates and an SLA. It works directly from any modern web browser, without the need of downloading any add-on or plugin. Combining Collabora Online’s sophisticated and modern solution to office requirements and the inclusive, support-focused approach of GMS and its integrated industry-leading malware protection, means usability is more enhanced, efficient, safe and secure. GMS with Collabora Online will soon be available as an on-premise or cloud solution. For more information or a demo, please mail info@gordano.com or sales@collaboraoffice.com. GMS are a long-standing provider of commercial email and cloud-based solutions, offering a host of robust and stable messaging products, with over two decades of trust, experience and provenance to back it up. As frontrunners in the market, GMS have built up a loyal and extensive customer-base through a willingness to adapt to future needs, whilst also recognising the appeal of timelessness. GMS supply to a wide array of global consumers, from financial services to telecommunications firms and biotech conglomerates, offering a welcome alternative to Outlook or Exchange. For more information, you can visit www.gordano.com, follow @GMS_Cloud on Twitter, join the official Gordano Ltd. group on Facebook or via LinkedIn. Cambridge, United Kingdom – September 15, 2017 – Collabora Productivity, the driving force behind putting LibreOffice in the Cloud, and Open Logic Strategy, an IT services provider from Uzbekistan, announce a partnership to add Collabora Online to their product portfolio. Open Logic Strategy provides integral IT solutions to businesses in central Asia, ranging from hardware and software solutions, to technical support. By adding Collabora Online to their product portfolio, they will now be able to offer on-premise online office suite functionality, that allow businesses to stay in full control of their own data. Collabora Online is a powerful LibreOffice-based online office suite with excellent support for all mayor office file formats, and includes key features such as collaborative editing, Long Term Support, signed security updates and a SLA. Documents, spreadsheets and presentations can be edited right from the web browser, without the need of downloading any add-on or plugin. 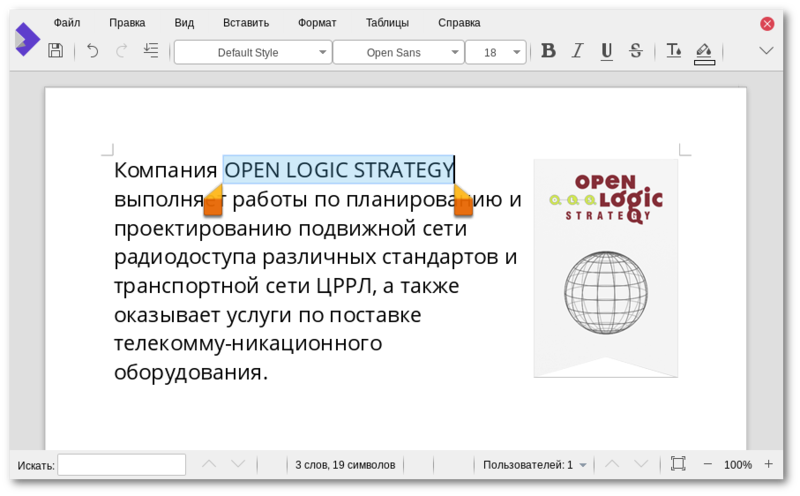 Open Logic Strategy will soon have Collabora Online available for customers. For more information or a demo, please mail info@ols.uz or sales@collaboraoffice.com. Open Logic Strategy is a leading IT services provider in Uzbekistan, offering a wide range of services to fulfill the complete IT needs of businesses. The rich experience of Open Logic Strategy’s employees in major projects on the construction of mobile networks, as well as providing enterprises with hardware and software solutions, provides the company excellent know-how. Open Logic Strategy continuously innovates, and recently added cloud-based solutions to their product portfolio. For more information, please visit www.ols.uz.